It’s that time of the week you’ve been waiting for, it’s Weird Stuff Wednesday! Every Weird Stuff Wednesday, we pick three unconventional vehicles of the millions on Carsforsale.com for your viewing pleasure. You’re in for a treat this week. From a 1974 Plymouth Barracuda with 750 horsepower to the cutest 3-wheeled scooter you’ll ever see, we’re very excited to share these unique rides from Carsforsale.com. If you like purple, you’ve come to the right place. This 1962 Ford Wagon has just as much metallic purple with white trim on the inside as it does on the outside. 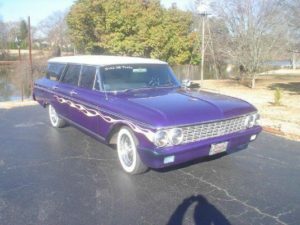 Whitewall tires, a white roof and white flames across the sides beautifully complement the purple color scheme. Under the hood this Ford has a 406 engine and an automatic transmission. Eat your heart out classic car lovers. The restoration quality of this project is incredible. Every inch of the inside from the roof, to the doors, to the floors is redone in beautiful purple. When I said almost everything is purple, I meant it. The floor? Purple. The dash? Purple. Steering wheel? You guessed it, purple. If a Can-Am Spyder, Porsche 911 and a moped had a child, it would look like this. 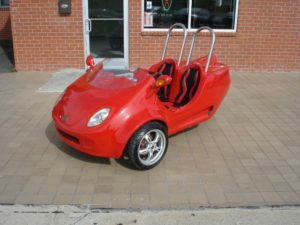 This 2010 Panterra Scooter is simply adorable. With three wheels and two seats, this is the perfect little vehicle for summer cruising or commuting in town. 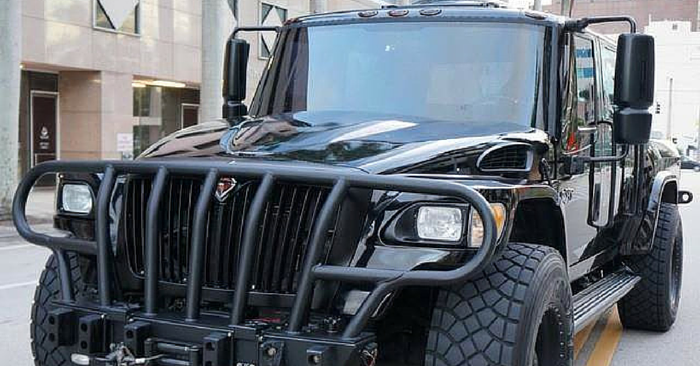 Running errands will no longer be a dreaded task for the owner of this vehicle. Although it doesn’t appear ready for the highway, your run the grocery store, post office or coffee shop will be way more fun (assuming it doesn’t rain) with these wheels. Last, but certainly not least, this 1974 Plymouth Barracuda is an absolute beast. 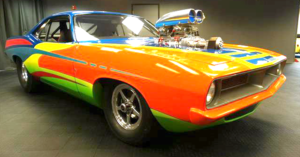 If you want a beautiful car for the drag strip, look no further. The huge 426 cubic inch Hemi V8 with a Weiand 871 blower will produce 750 horsepower! Anyone lucky enough to put the pedal to the floor in this vehicle will not be disappointed. How about that paint job? Even if you don’t notice the engine in this Plymouth Barracuda, the glossy orange, lime-green, blue and pink perfectly revive a ‘70s color palate. Very few custom paint jobs look this good. The attention to detail given to this car, both inside and out, is absolutely incredible. 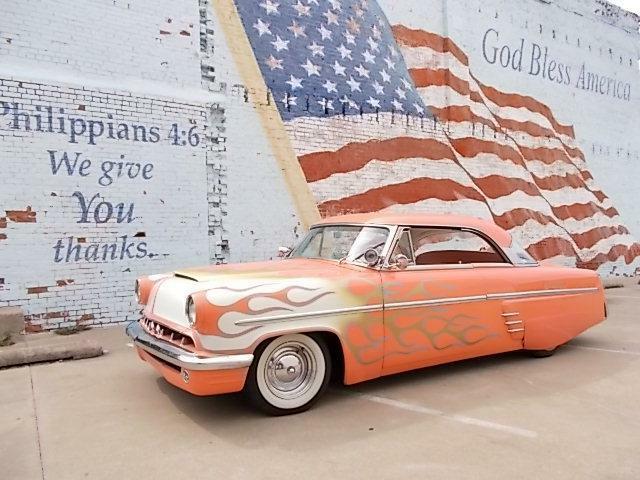 With millions of vehicles listed on Carsforsale.com, there’s bound to be a set of wheels perfect for you. 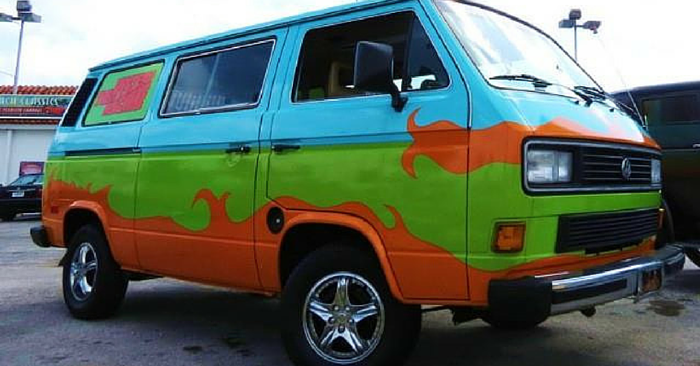 If you find a vehicle on Carsforsale.com that deserves to be listed in our next addition of Weird Stuff Wednesday, send us a link in the comments or on social media and we may include it in our next edition!